India is a large nation, a great nation, and a wonderful example to others around the world. India gave birth to Buddhism, to all the timeless knowledge that we have been practicing throughout our lives. And from a Buddhist point of view, not only in this life but over many, many life-times. According to the prophecies of the Buddhas, this nation has not only been the host for Buddhism in the past and the present, but will continue to do so in future eras as well. 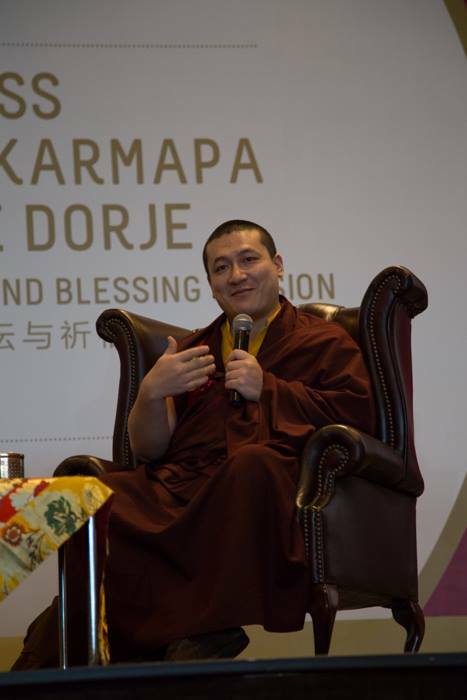 I pray that I will be able to serve all of you, not just to keep peace in our minds and our hearts, but eventually to obtain what our historical Buddha had obtained and achieved. This is my wish. friends or family. We can go far further and reach out to any individual we come across, meaning eventually all sentient beings, not just humans or animals but beyond that, to all sentient beings of the six different realms and of the entire universe of samsara. No matter how many sentient beings there are, our mind and compassion has the capacity to reach to all equally, without discrimination, no matter how near or far. Simply generating compassion and wisdom towards others brings great peace to ourselves, and therefore to all those around us. And this effect, of course, is timeless. The benefit of this teaching has been seen by the Buddha, and it has been seen by the Bodhisattvas – those who follow the way to become Buddhas. They have seen it, they have experienced it, they have realised it. The activity of Buddha dharma must go on always. And so we should allpray that we may always have opportunities to practice.There is no way of saying that a certain amount of practice is enough because there is no limit or boundary or final stage. The activity must go on. 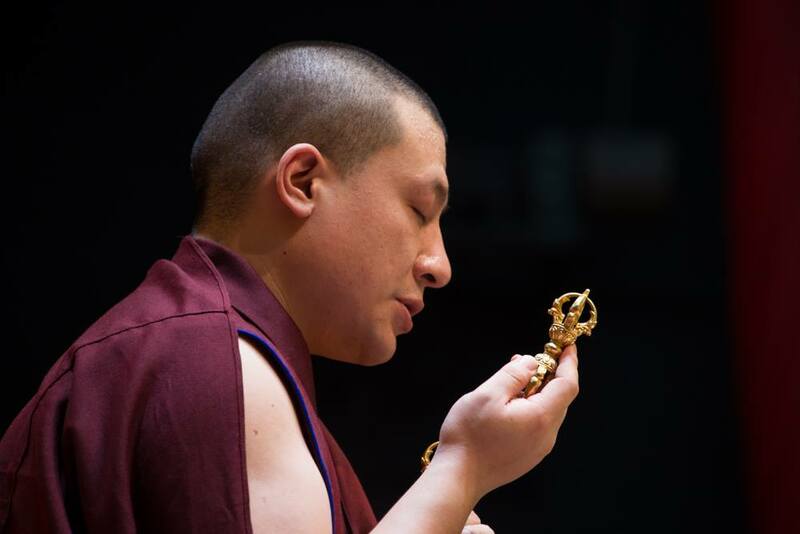 And it is for this very reason that we continuously generate devotion, generate respect, generate Bodhichitta. Inner Wealth is our mind, our consciousness. I believe that this mind is like a wish-fulfilling jewel. If you know how to utilise this mind, it can produce the most beneficial effects. The best way to utilise and develop this mind is to absorb knowledge, and the most important kind of knowledge is the one that makes us a kind person, a decent person, a person worthy of respect. With these hands we can help others. With our voice we can help others. With our eyes we can learn the ways and the methods of how to help others. The whole nature of human beings is almost inseparable from the expression of compassion. Since the quality of compassion is inherent, we don’t have to look anywhere else to find it. Wherever there is a consciousness, there is a seed of compassion. It is the same for wisdom. Wherever there is a consciousness, there is a seed of wisdom, too. Compassion is inseparable from wisdom. 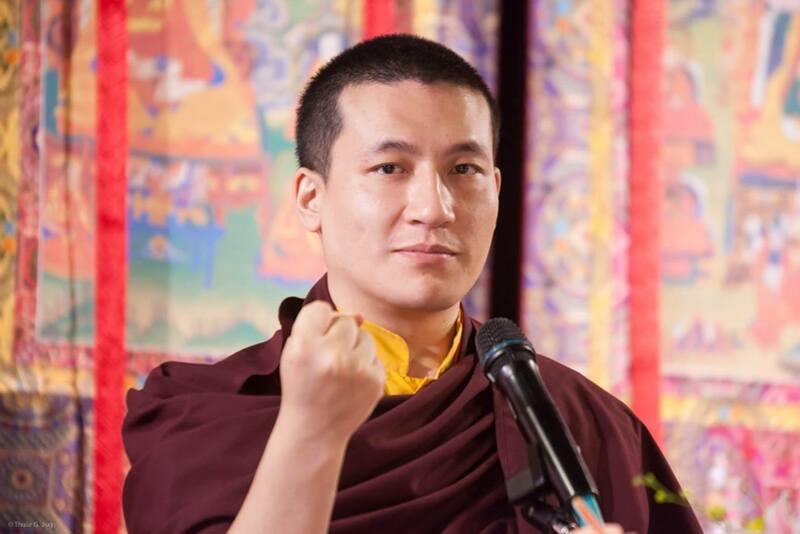 The difficulties that we face right now, from a Bodhisattva’s perspective, are what is known as ‘great teachers,’ like wish-fulfilling jewels, because they help us to grow and develop. They are ‘wish-fulfilling challenges,’ ‘wish-fulfilling teachers.’ All of the obstacles that we face, health-wise; mental development-wise; or concerning our earning; our livelihood; well, basically any difficulties, challenges or obstacles concerning day-to-day life – all of it, if we can take it the right way, can really, really help us to grow.